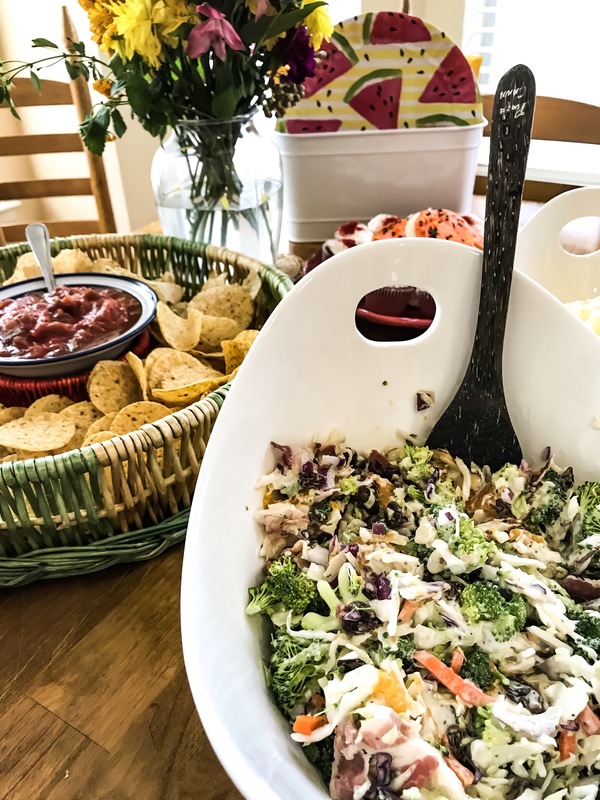 Between baseball playoffs and football season, October offers the perfect time to bring family and friends together for some easy entertaining. Even if you are not a huge sports fan, it’s fun to get together with friends and share in the excitement to support your home team. Of course the main event will be “the game”, so you will want to keep the menu simple and easy. Choose food and snacks that can be prepared without too much effort. 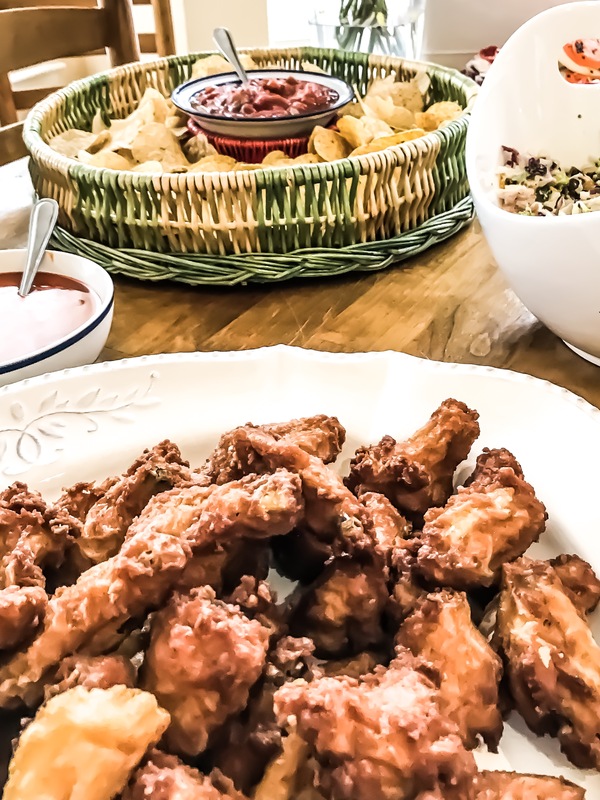 To keep it super easy, you can rely on some no cook items such as chicken wings with chips and salsa. These favorite snacks can be purchased ready made from the store and you are simply “plating” the items. It can’t get much simpler than that! If you would like to add a little more pizzazz to the menu, stick with some favorite recipes that are tried and true. I usually rely on baked beans that can be prepared early and kept warm in the slow cooker. I also have an easy coleslaw recipe that I have refined over time and can practically prepare in my sleep. Always try to do as much preparation as you can before your guest arrive. Once your friends begin to arrive, you want to be free to visit, relax and even watch the game. 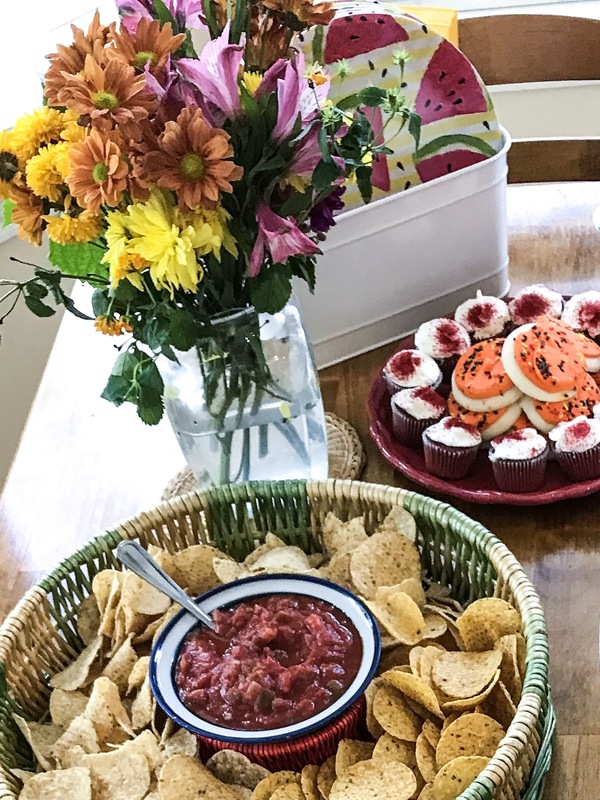 No fancy china is needed for this casual gathering. 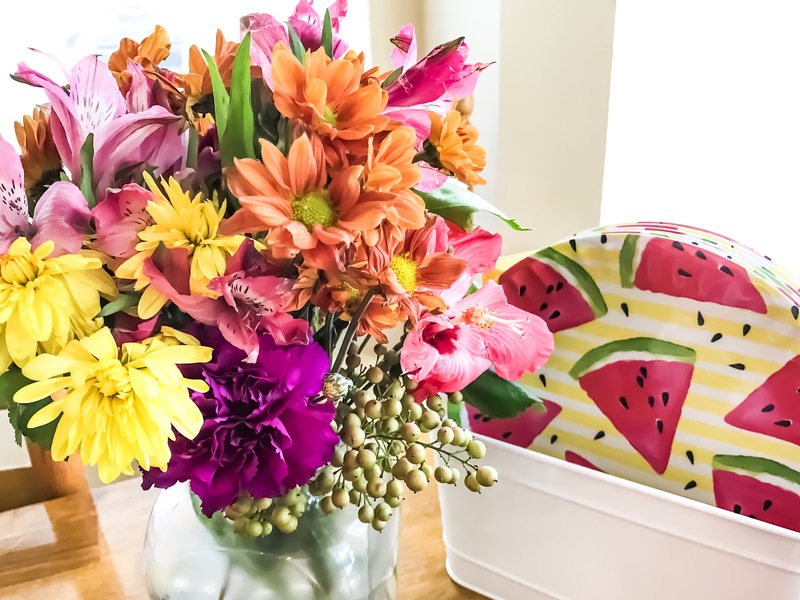 I use some colorful melamine plates, bright colored napkins, and plastic cutlery all stored in a tray caddy for easy serving. Remember. the idea is to bring together friends and family for an enjoyable fun-filled, easy and relaxed day. Save the all day cooking for another time.